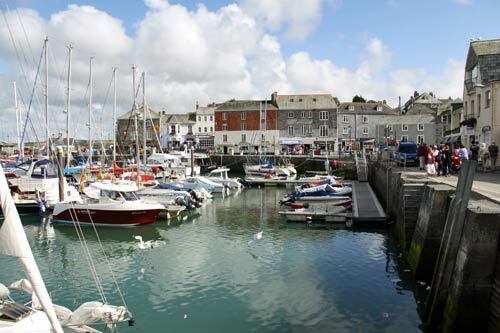 Holidays are all about relaxation and pleasure and this is something that Cornwall is able to supply for all ages. There is a vast number of things to do. Surfing, sailing and fishing are incredibly popular, walking the coastal path, orienteering, pottery and art courses. Cornwall caters for all tastes and age groups. Come and meet Dai the Claw the Hatchery's resident giant lobster. Learn about the life cycle of the lobster - from egg to fully grown lobster. Play a part in conservation and the enhancing of stocks of lobsters by joining the lobster adoption scheme. Specially for the romantic there is the adopt a couple of lobsters who are then released together. An excellent way to combine education with a fun day out for children and the not so young. Learn about beekeeping and get to see bees at work through special glass fronted display cabinets. Children will love making their own Beeswax rolled honeycomb candle. There is a on the premises shop where you can purchase a selection of honey related products including cosmetics made from honeycomb. Don't forget to visit the Beehive Tearoom for refreshments and a look at PoohCorner and the Winnie the Pooh memorabilia. The line runs from Boscarne Junction in the north to Bodmin Parkway in the south with its main station being Boscarne Junction. At Boscombe Junction there is a gift shop and you can also join the Camel Trail from there. You can join the London to Penzance line at Bodmin Parkway. As well as regular 13 miles round trip through the beautiful Cornish countryside the company also runs themed experiences such as Valentine Dinner Specials to Murder Mystery trips where a murder mystery is played out as you coast alone. For those who have always wanted to drive a steam train the company offers driving lessons in the Spring and Autumn You get three rides one as a Driver, one as Fireman & one as Guard with a certificate at the end of the course. Don’t miss Mark’s Ark where there are over 15 types of animals such a pythons, bird eating spiders, hawks owls and lizards. A Soft play centre intended for children 2 to 12 accompanied by adults. Lots of fun activities and equipment including a giant tower that goes right through the roof. Visit Shipwreck Island and lose yourself in the spooky maze. There are free newspapers for dads and mums to hide behind once they have had enough of running after the little ones and when hunger bites it’s off to the café for kid type food. In the Kitchen you can sample Cornish products such cream teas and home make ice cream. There is a farm shop selling home make products and souvenirs to take home for your friends. A day out at Crealy is a real treat. The park caters for children of all ages, starting with toddlers. There are fast rides, water rides, soft play and enough activities to fill a complete day. Stay as late as possible, when the majority of people have gone home, to get on rides without queues. What better way to enjoy the beautiful countryside and to see the wild flowers growing in the hedgerows than a pleasant leisurely walk. Cornwall is certainly not short of places for walking. Linking three towns Padstow, Wadebridge and Bodmin, this is a specially constructed path for walkers and cyclists utilising a bed of a former railway line. It is perfect for that stroll with the family even with a youngster in a buggy in tow or a wheelchair user. It is the Gateway to the Duchy. Designated an Area of Outstanding Beauty, Bodmin Moor is a peaceful and tranquil diversion from the other more lively attractions that Cornwall offers. Come see and feel it’s prehistoric and medieval past, huge areas of open moorland dominated by magnificent granite tors. This haven for wildlife and birds is visited by thousands yearly and chosen by many artists and craftspeople as an inspirational place to live and work. 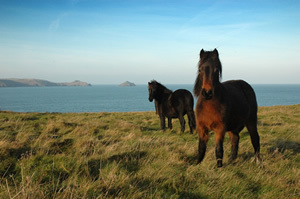 The wild Bodmin ponies are yet another attraction. Bring carrots and apples! We hope that some of these ideas for things to do during your holiday in Cornwall have persuaded you to rent a Cornish holiday cottage for your summer break. Do come and visit and we hope that the sun shines constantly and the Cornish pasties and cream teas are to your taste.